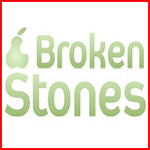 BROKENSTONES.CLUB - The best foreign torrent tracker, completely dedicated to Apple products! On this resource you will find: Software and games for Mac, Graphics and audio plugins, Video tutorials, Firmware, E-books, Kapi and more. BEFORE PURCHASING AN INVITE, BE SURE TO CONTACT ME! After payment you will receive a 16-digit code that must tell me. After that you will be sent an invite to the email address specified in the payment.